The Battery-Box LV is a 48V battery with a flexible and modular design with no cables inside. 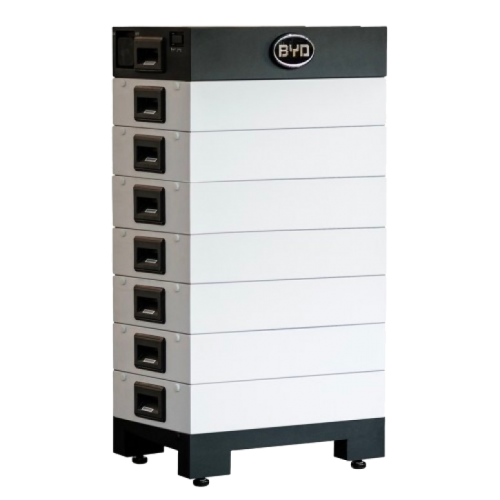 One Battery-Box LV contains up to 4 battery modules B-Plus L 3.5 in parallel connection and achieves capacities between 3.5 and 14.0 kWh (usable). By connecting up to 3 Battery-Box LV in parallel, the capacity can be chosen individually in 3.5 kWh steps from 3.5 kWh to a maximum of 42.0 kWh (certain chargers only – check before committing). This part contains 3x Battery Modules and 1x Base with BCU.